0.1 gram. 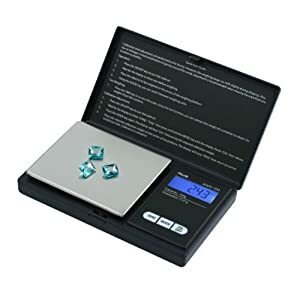 Has Gram, OZ, Carat, Grain and tare weight modes very easy to use and portable. Don't forget to order the 100 gram calibration weight also. You will not regret this purchase.